Disciplinary Cases – Violation of Andhra Pradesh Civil Services (Conduct) Rules – Initiation of disciplinary action as per Andhra Pradesh Civil Services (CCA) Rules G.O.Ms.No. 680 , Dated:01-11-2008. Public Services – Disciplinary Cases – Violation of Andhra Pradesh Civil Services (Conduct) Rules – Initiation of disciplinary action as per Andhra Pradesh Civil Services (CCA) Rules – Orders – Issued. All Government Employees are governed by the provisions of Andhra Pradesh Civil Services (Conduct) Rules, 1964. Any violation of the said rules amounts to mis-conduct and for such mis-conduct disciplinary action shall be initiated as per the procedure laid down in Andhra Pradesh Civil Services (CCA) Rules, 1991. 2. According to Rule 3 (1) of A.P.Civil Services (Conduct) Rules 1964, ‘every Government employee shall be devoted to his duty and shall maintain absolute integrity, discipline, impartiality and a sense of propriety’. 4. Thus, there is need to keep in mind the provisions contained in the Andhra Pradesh Civil Services (Conduct) Rules 1964, to check the misconduct of the Government employees to ensure that the system of administration functions smoothly. 5. 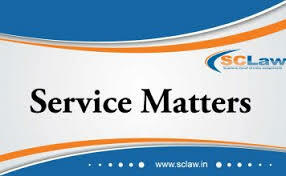 Government direct that wherever connivance, negligence, dereliction of duty of the Government employee is noticed, the Competent Authority shall take prompt action for such mis-conduct in accordance with the procedure laid down in the Andhra Pradesh Civil Services (CCA) Rules, 1991. 6. It is the earnest endeavour of the Government to ensure clean and efficient administration at all levels. 7. All Departments of Secretariat, all Heads of Departments and all District Collectors are requested to take prompt necessary action as per the above order.